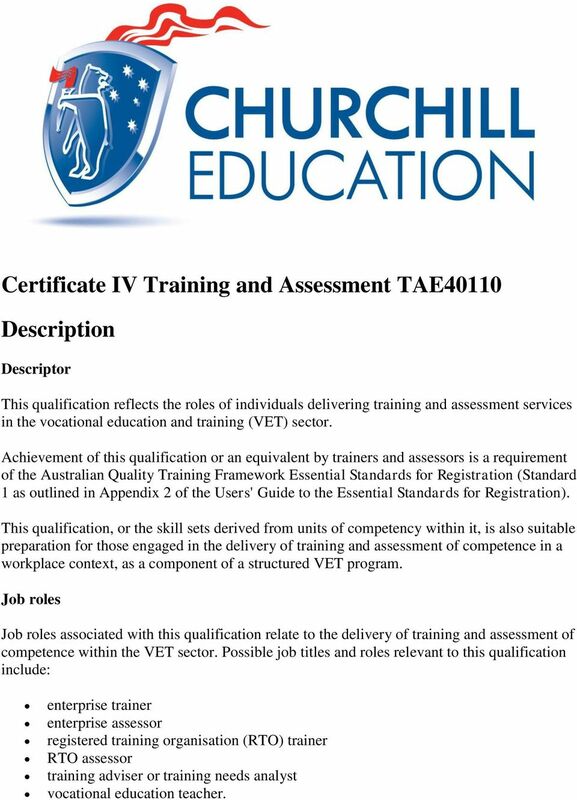 Download "Certificate IV Training and Assessment TAE40110 Description"
1 Certificate IV Training and Assessment TAE40110 Description Descriptor This qualification reflects the roles of individuals delivering training and assessment services in the vocational education and training (VET) sector. 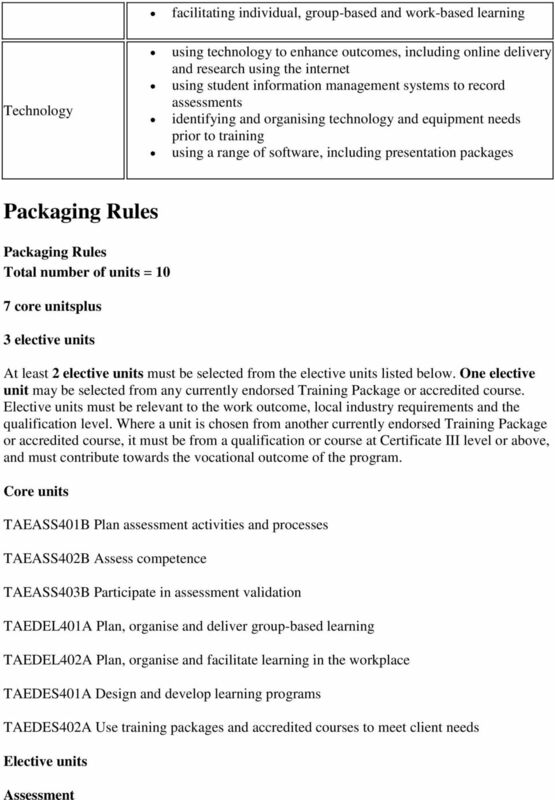 Achievement of this qualification or an equivalent by trainers and assessors is a requirement of the Australian Quality Training Framework Essential Standards for Registration (Standard 1 as outlined in Appendix 2 of the Users' Guide to the Essential Standards for Registration). 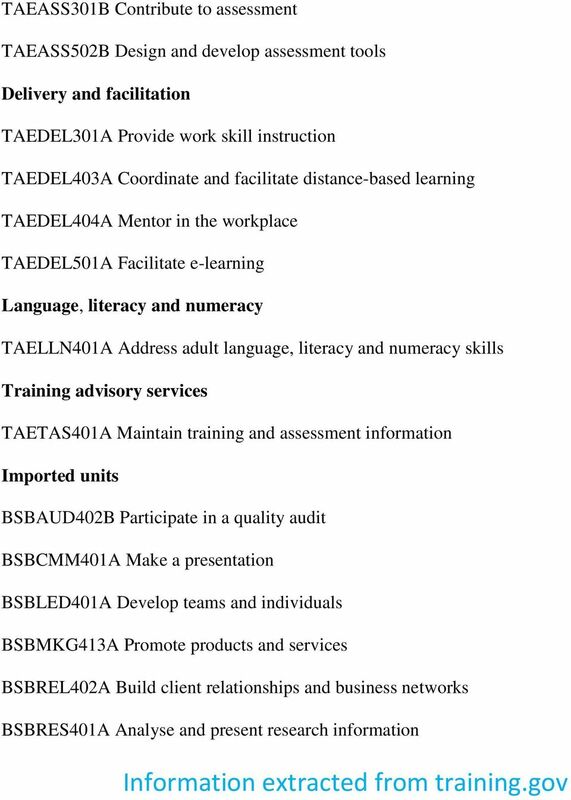 This qualification, or the skill sets derived from units of competency within it, is also suitable preparation for those engaged in the delivery of training and assessment of competence in a workplace context, as a component of a structured VET program. 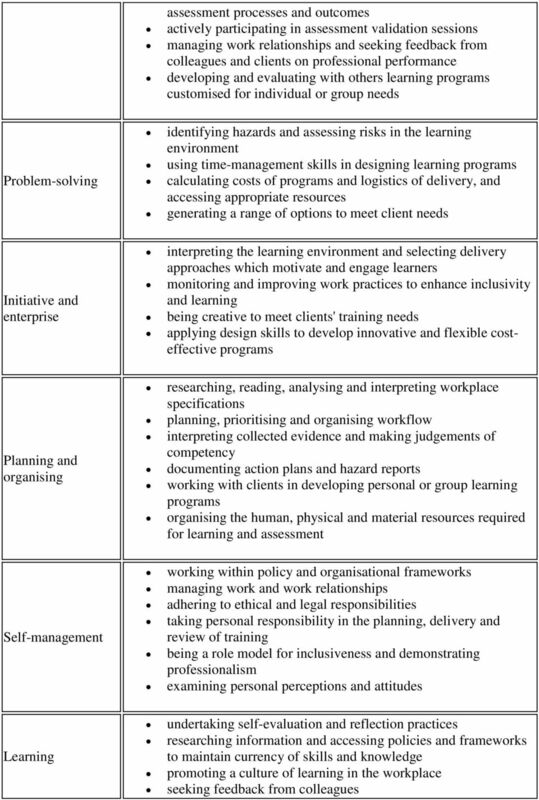 Job roles Job roles associated with this qualification relate to the delivery of training and assessment of competence within the VET sector. 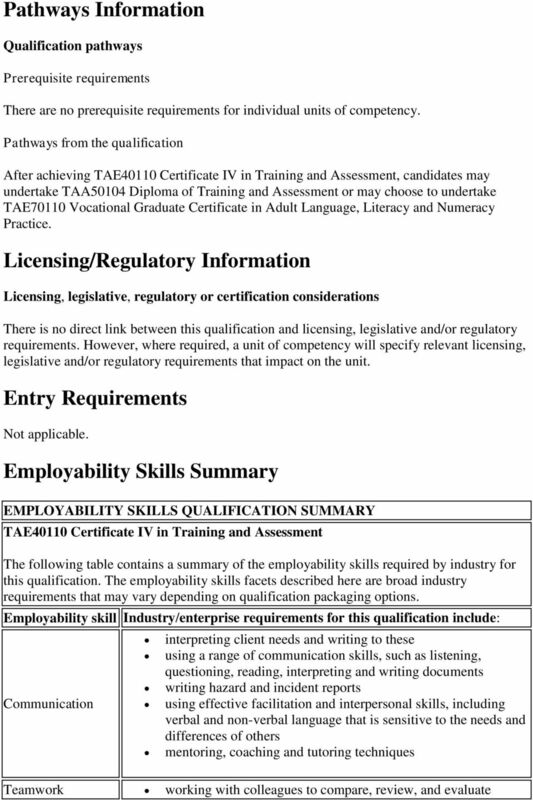 Possible job titles and roles relevant to this qualification include: enterprise trainer enterprise assessor registered training organisation (RTO) trainer RTO assessor training adviser or training needs analyst vocational education teacher.